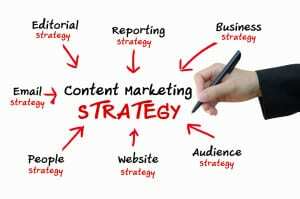 Content marketing can help you achieve your overall business objectives. No business is too small that it can’t think big. Let your business, however small; be among those businesses or brands that will “put a ding in the universe,” as Steve Jobs puts it. Let your brand and what you stand for matter. Chances are your business already has followers of its own, has made it big somehow in your own little corner or neighborhood, has a regular website, and even a Facebook page with a few thousand likes. Is that enough? Don’t stop there because there is still so much that can be done. By now, you must have heard about content marketing and the wonders it can do to your business — from brand recognition to sales. Why should you care? A well-planned and well-executed content marketing strategy can help your business be whatever you want it to be and go where it has never been. Let your business goals be bigger with the help of an aggressive and effective digital marketing campaign. Remember, “digital” and “content” are not just tools but a window of opportunities and immense possibilities. by Jona Jone for Vistage.com – Read more here. This entry was posted in Content Marketing, Marketing, News on March 17, 2015 by rkenneth.